Bungoma County loses Ksh 6 million every year on ghost workers-audit report – Kenyatta University TV (KUTV). All Rights Reserved. Bungoma Ministry of Agriculture loses close to six million shillings to ghost workers every financial year, a tax force audit report has revealed. 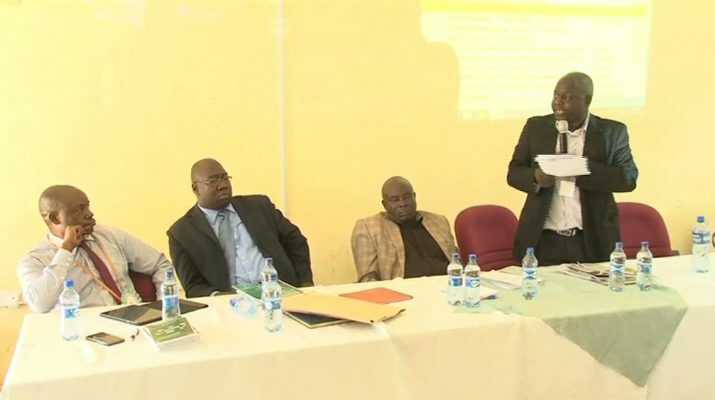 The report that was chaired by Barasa Nyukuri was launched by Bungoma Deputy Governor Charles Ngome and agriculture executive Mathews Makanda on Monday at Mabanga Farmers Training Centre. The report set by Bungoma Governor Wycliffe Wangamati was geared towards finding out the challenges the agriculture ministry workers go through and how the ministry can better their working conditions. The report revealed that there are twelve ghost workers in the ministry who have been earning money and doing nothing. It said that most of the workers at the ministry are over age and are between fifty and sixty year’s – almost going retirement. It further recommended for a program to employ young and vibrant staffs especially the youths who have graduated from other institutions saying that in the next two to three years the older workers will have retired and left behind a big gap that it will be hard to fill. The report also revealed that most of the workers in the ministry have worked for a long time without having any promotions which has resulted to low working morale in the ministry that might result to bad results. Ngome noted that as a county they will follow all the recommendations of the report that was done in a good way and has been accepted by the ministry staff. ‘We will also find out how they found themselves in the pay roll whereby we will also handle those who put them in the pay roll in a manner that I do not want to reveal now,’ he said. Ngome said that they will support the ministry of agriculture and ensure there are no more ghost workers in that docket. ‘We know that without us having good agriculture our county cannot be transformed even if we built roads and make nice stadiums without us focusing on agriculture since we as a county are the food basket of the country we will not assist our people’ he said. Nyukuri said that every person who has been mentioned as a ghost worker should be grilled by the task force and asked who employed them before the money is recovered.